The news-oriented documentary series “Axios on HBO” has been renewed for a second season, it was announced today by HBO, Axios and DCTV. The new season will feature eight half-hour episodes, four this spring and four this fall, as well as four specials, reacting to the most consequential news of the moment and driving the conversation with shorter, interview-based programs. Emmy® winner Matthew O’Neill (HBO’s “Baghdad ER” and “China’s Unnatural Disaster: The Tears of Sichuan Province”) and Perri Peltz (HBO’s “Warning: This Drug May Kill You” and “Remembering the Artist Robert De Niro, Sr.”) return to direct and produce the show, as they did in the 2018 season. They will continue to work with leading Axios journalists to highlight the week ahead in politics, business and technology, and other big topics shaping the future. 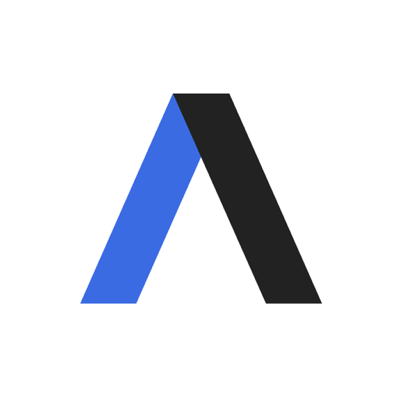 Co-founded in 2016 by Mike Allen, Jim VandeHei and Roy Schwartz, Axios is known for its mix of exclusive news, illuminating coverage and trustworthy insight delivered with “Smart Brevity” and a distinctly shareable format. The first season of "Axios on HBO" featured four news-making episodes, highlighted by revealing interviews with: President Donald J. Trump; Tesla CEO Elon Musk; Apple CEO Tim Cook; and Microsoft founder Bill Gates. Season two of AXIOS will continue to feature a unique mix of breaking news content, exclusive interviews and short profiles. Today Axios announces the launch of Axios Edge — our new weekly look-ahead at the stories that will drive the business world each week, authored by renowned chief financial correspondent Felix Salmon. The Sunday newsletter will debut on September 16, 2018. Our launch partner is Cole Haan, which is increasing its investment in economic empowerment. The global company is presenting Edge as the business version of Jonathan Swan’s D.C. blockbuster, Sneak Peek. “Business professionals are constantly looking for hacks that transition them into the workweek with ease,” said David Maddocks, Cole Haan's Chief Marketing Officer and General Manager of Business Development. Sign up for our Axios Edge newsletter. Today Axios announces its newest digital stream "Future of Work," and a weekly newsletter will debut on June 4. Future of Work will cover the coming biggest story of our lives: the impact of robots and artificial intelligence on jobs and global economics. Steve LeVine, Future of Work Editor, will highlight the socio-economic impacts of technology, with an emphasis on how new developments in artificial intelligence and robotics will affect people, countries and organizations throughout the world. The Future of Work newsletter will give Axios readers an inside look in trends disrupting the workforce alongside leading experts' views on how to best tackle the opportunities and challenges accompanying this change. Why it matters: "Whether they lead companies or help run government or are a part of shaping massive organizations, our readers are deeply engaged with the latest trends and innovations impacting work worldwide," said Axios Co-Founder and CEO Jim VandeHei, "Future of Work is a must-read for those seeking to keep up with the latest technologies and the cultural and economic disruptions they will cause." One fun thing: The Future of Work stream will feature a new video series "Almost Now" taking viewers to the front lines to show the technology and the disrupters leading the charge of modernization. Here's a teaser trailer for a sneak peak. Axios is excited to announce that our launch sponsor for Future of Work is Walmart. See the Future of Work stream and sign up for the newsletter.